If you’re new here and you have no idea what is Preview, let me quickly introduce it to you. Preview is an app to plan your Instagram. You can design your feed, edit photos, schedule your posts, check your analytics and manage your hashtags. Preview also comes with a Hashtag Finder. The Hashtag Finder is an Instagram hashtags generator. You can search for hashtags by categories, cities, countries and even Instagram communities. Each hashtag is carefully selected to help you grow your account, reach your customers and join awesome Instagram communities. Choose any hashtags you want. I will let you explore the Hashtag Finder by yourself, because we all have different businesses and business needs. This hashtag group is full of trending Instagram hashtags for handmade businesses. There are a mix of popular hashtags and niche hashtags. These hashtags will help you join communities of fellow business owners. This hashtag group is for jewelry makers. It gathers the most popular Instagram hashtags for handmade jewelry. You can complement this hashtag group with other hashtags from other categories. For example: Handmade Business, Etsy, and Jewelry. There are many different hashtags in this group. These hashtags gather the community of Etsy sellers on Instagram. There are also hashtags from accounts that will help you get featured on other people’s account. Many people in our community are knitters and crochetters. These two hashtag groups are for you. There are many trending hashtags as well as community hashtags in each hashtag group. This hashtag group is for artists. Whether you are a painter, designer, or any other kind of artist, this hashtag group is for you. A handmade business is a creative business. This hashtag group allows you to become part of the greater creative business community on Instagram. It allows allow you to get your work seen by other people outside of your industry (they could be potential customers!). This hashtag group gathers trending Instagram hashtags for creativity. Feel free to use these hashtags to complement them with other hashtag categories. This hashtag group is a general hashtag group. It gathers the general business community on Instagram. The hashtags in this group are for business owners and entrepreneurs, no matter the industry you’re in. Connect with fellow women entrepreneur using this hashtag group. If you have a product you think women would enjoy, feel free to use some of these hashtags to connect with them and get in front of their eyeballs. 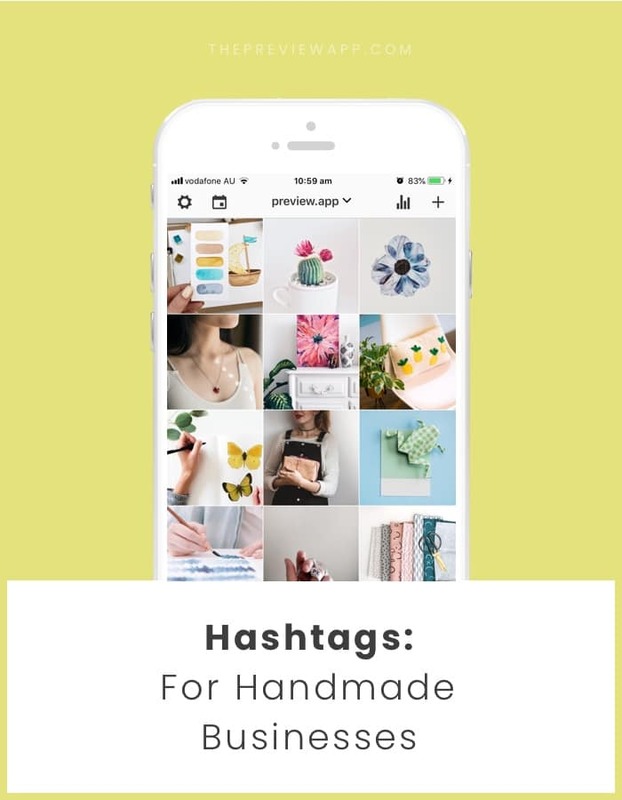 There are many more Instagram hashtags for your handmade business in Preview. Take your time to explore. Choose any hashtags you need. Mix and match hashtags from different categories. Do you know other Instagram hashtags for handmade businesses? Awesome handmade Instagram communities with their own hashtags? Are there other categories you would like us to add?